This clean sign is easy to read. 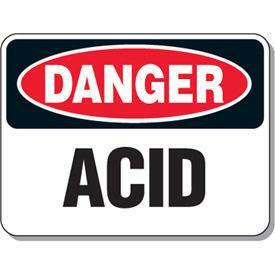 It clearly indicates where acids are stored. The aluminum sign perfect for use in any laboratory or industry setting.